We are committed to unsurpassed quality, exciting new ideas with products and store layout and, most importantly, excellent customer service. We look forward to sharing some of our products and services with you via our website. We firmly believe that when you shop with us, you are visiting one of the best butcheries in New Zealand. Our customers tend to be more discerning consumers, who are prepared to pay fair prices for personal attention and superior quality products. Sam’s Butchery began operating in Auckland from April 2007 and we offer the freshest and finest premium cut meats and fine foods that can satisfy even the most discerning gourmet. Our friendly and experienced butchers are always ready to attend to your gourmet needs and can offer you the best service in town. 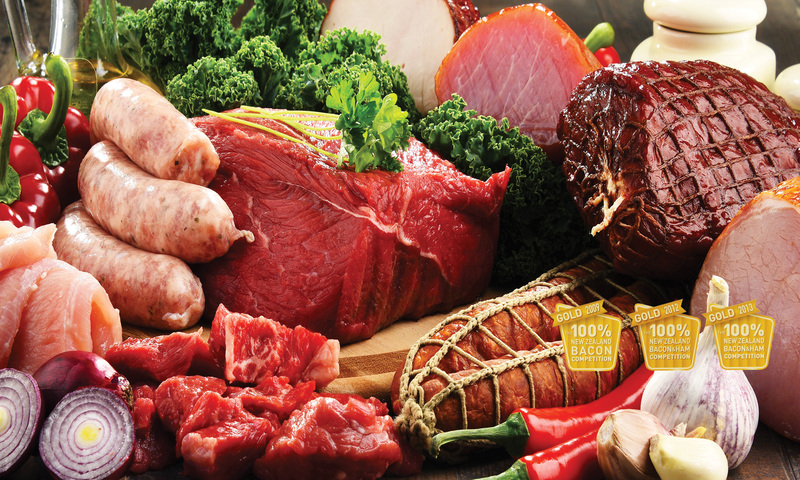 At Sam’s Butchery we offer competitively-priced, premium gourmet food that is prepared by a world class team of professionals. At Sam’s Butchery, we are always ready to serve you with a smile. Sam’s Butchery won the 100% New Zealand Bacon & Ham Competition 2017, 2013 and 2012 Gold Medal for 100% NZ Middle-Eye Bacon. Sam’s Butchery also won the award in 2009. Silverdale’s Sam’s Butchery has come out on top again in this year’s 100% New Zealand Bacon and Ham Competition.